Scott clears the UU minister's parking space. Scott was up and around early this morning, and when he noticed the fresh snow on the ground, he grabbed his shovel and headed over to the Unitarian church on Commercial Street, to shovel out the minister's parking space and the sidewalks, for folks who'd be attending church services later in the morning. That's just the swell kind of guy he is. 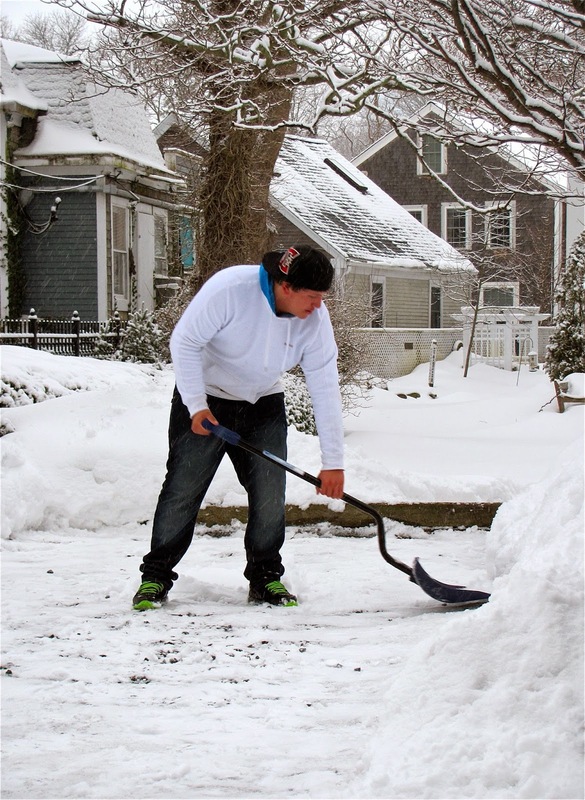 He's been known to shovel walks for seniors, or anyone else who could use a little help, refusing payment, because "a lot of folks just can't do that sort of thing for themselves, and usually that kind of job only takes me about 10 or 15 minutes," he said. This attitude has earned Scott some excellent Karma over the years, which came in handy this past spring when he moved to Provincetown, where he immediately found a job, and housing! Scott's volunteer spirit makes him one of PTown's jewels. Scott has always loved Provincetown, and decided to move here when his father made the move. There's nowhere else he'd rather be. 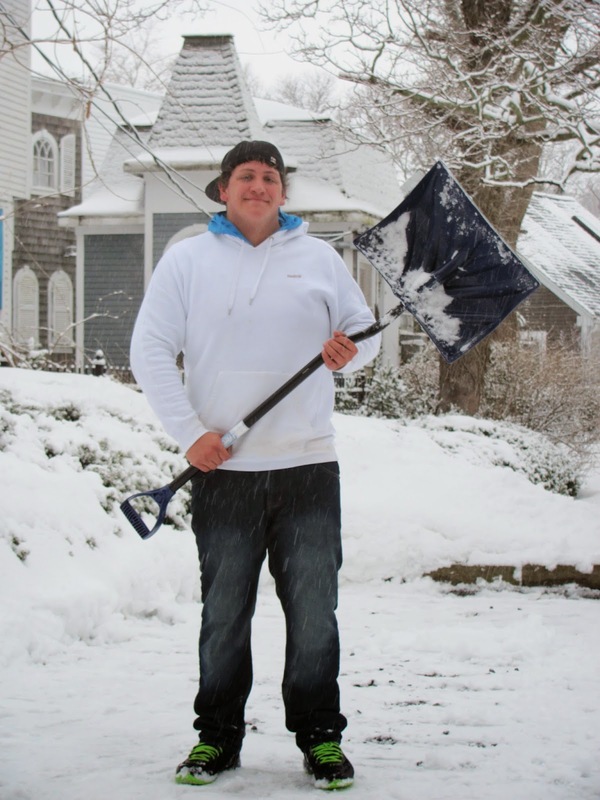 By the way, if you want to hire Scott to do some major shoveling for you, he's available. Call him on his cell phone, at 971 344-2461. And if you see him walking by with his shovel, tell him "thanks." And if you happen to need a little bit of help, don't be afraid to ask. Ya gotta love a town like this.